Significant weight loss is a major accomplishment, whether you’ve lost it naturally or through weight loss surgery. Each pound you shed and inch you lose is a reason to celebrate. Buying new clothes after weight loss surgery is an exciting part of losing weight, but it can sometimes feel overwhelming and often expensive. 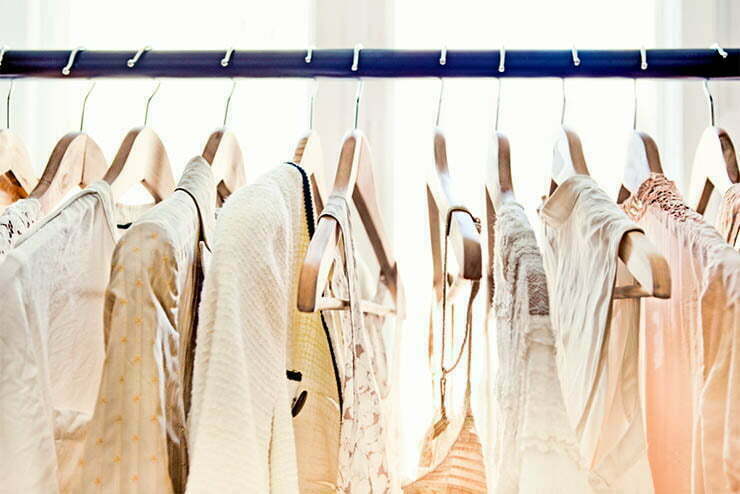 Here are some tips to make finding your post weight loss wardrobe a breeze. Your body will look and feel different as you progress through different stages of weight loss. Your new shape may have some similarities to your old figure, but you’ll likely see some new curves or angles develop as the weight comes off. It’s exciting, but don’t head to your favorite boutiques just yet! You can get a more flattering look and save yourself time, frustration, and money if you take a few minutes to figure out your body type before you head to the mall. First, grab a tape measure and measure your shoulders, bust, waist, and hips. The difference between these numbers will help you understand your current body shape. Next, use this body shape calculator to determine which category you fall in. Bookmark your type on your smartphone or print out a copy to have in your purse for easy reference while shopping. The good news is that whether you’re an inverted triangle, hourglass, rectangle, spoon, or pear, there are styles that will flatter your figure. Celebrating the shape you are and enjoying the styles that are best for you is a great confidence booster! It’s important to remember that your body will evolve into a slimmer shape over the course of your weight loss journey. This means you may wear several sizes before your body settles into its long-term, stable shape. Rather than buying clothes for a size you hope to be someday, pick out clothes that fit right now. You’ll feel more comfortable and confident wearing clothes that fit and flatter your current size. Try finding pieces that are flexible and complement your shape as your body changes, such as a generously cut tunic cinched with a belt over leggings. Or pick out a stretchy wrap dress with a waist you tie yourself for a style that’s adjustable and feels fantastic as you watch your body transform. Worried about the toll buying your current size will take on your budget? Check out tips 3 and 5! As tempting as it may be, try not to get swept up in a shopping frenzy when you’re picking out your weight loss wardrobe, as these pieces may not fit just a few months down the line. If you want to experiment with new styles, take the time to search for a good bargain. Shop the sales or do a little digging at chain discount stores for low investment, high reward styles. It will take the pressure off finding the “perfect” outfit and let you experiment with new styles as your body changes. And don’t forget about thrift shopping. You’d be surprised how many brand name outfits or barely worn pieces are hiding at the thrift shops or consignment stores! You can even bring your own lightly-worn pieces that no longer fit your figure in for consignment. Consider treating yourself to a pair of high quality jeans and a new bra each time you go down a size. Those two outfit elements influence every other piece you wear. A properly fitted bra will reduce bulges along the back and will give you bust support as your body changes. A good pair of jeans will smooth out your waistline and hug your curves so you feel as slim as you look. Gather up a few friends of similar sizes and have them bring over clothes they don’t wear anymore. Put on some tunes and swap your old clothes for sizes and styles that are a better fit. Your friend might have the perfect v-neck dress that doesn’t fit her anymore, but would look great on you. You may have a pair of jeans that are too big for you, but would fit your friend just right. Be open minded and positive, and you may find yourself with a new look without spending a dollar. Think of that favorite pair of jeans that are just too big now—maybe they were expensive, sentimental, or that perfect shade of blue. Don’t let them sit lonely in your closet. Once your weight has stabilized, you can get them professionally tailored so they fit your new body. A leather shop can punch new holes in a watch or belt that no longer fits. Even a suit jacket can be taken in at the waist so that it fits for years to come. Alternatively, for pieces that just won’t take kindly to tailoring, you can repurpose them multiple ways. Check out this list for some ideas. Patients at our Rancho Cucamonga weight loss surgery facility have plenty of reasons to feel great about their bodies—and so can you! Deciding to improve your health and appearance through weight loss surgery is a resolution that will impact your life for many years to come. As your body changes, be sure to follow our most important tip: be proud of who you are and celebrate all you do to help your body look and feel its best.